Maybe you haven’t signed up for the free Lite tools suite because you’re not sure how these tools can help you improve your site’s rankings. For you, we offer 10 select SEO tools that aren’t behind a sign-in wall and can be run on a one-off, on-demand basis, for free. These 10 free tools don’t require a log in, credit card info, or software download. Use them as much as you like from the Free SEO Tools page on SEOToolSet.com. To give you a chance to see in action how the data you get enhances your organic SEO efforts, this miniseries covers each of the 10 free SEO tools. (See the whole miniseries here!) In this post, you meet a lightweight version of our most frequently used SEO tool, the Single Page Analyzer. Provides suggestions on how to improve your web page optimization. Why this matters: Proper page analysis is key to improving your web page optimization. Review this data for your own pages and for top-ranking competitors to discover what makes a web page rank high in the search engines for your industry and keywords. Enter a single URL and click Run Page Analyzer. You can enter your own web page or a competitor’s URL. The tool can analyze only one page at a time. The first category, Tag Information, examines the tags for a page. The second category, Text Metrics and Readability, analyzes the content and scores the reading level of the text. The final category, Word Phrase Usage, breaks down the most commonly used words and phrases used in various elements on the page. How to get more from the SPA: The SPA tool featured here is a lightweight version of the tool, which means it’s not the full version. However, you can now access the complete version of this robust tool for FREE by signing up for the SEOToolSet Lite. By simply providing a username and password, you can use the full version of the Single Page Analyzer tool — an opportunity that was, until recently, only available with a paid SEOToolSet subscription. The point of running the SPA is to spot any SEO-related issues with the content on a web page. This tool in particular will show you any major errors, weak areas, as well as any elements that are missing from the page. You can use this information to fix those errors, strengthen weaknesses, and add the missing elements that are vital to the optimization of that page. Our SEO analysts usually run this tool over and over again to see how the changes they’ve made meet SEO best practices and to learn from their competitors. Before we get into the specifics of how to use the tool and decode the reports, this is what you get from the Single Page Analyzer’s data analysis. 1. Improve the optimization of your meta tags. Is your meta description too long or too short? Because it matters. Are your tags in the right order? That matters, too. There are basic dos and don’ts to writing meta tags. Use the Tag Information report provided by the SPA to fix or strengthen your tags according to SEO best practices. If you find errors in red, fix them. If you discover that you’re missing any tags, add them. Once you’ve made the changes and have added the missing elements, you can then run the tool a second time to examine the recent changes. 2. Adjust the reading level of your text. High-quality web content has many characteristics, and an appropriate reading level is one of them. Content that is too simple or too complicated can lose the attention of your target audience and fail to bring conversions. So how do you know if your content is written in the appropriate reading level? The SPA will tell you. Using the Text Metrics and Readability section of the report (outlined below), find out the reading level of your text. If it’s too high, consider adjusting it by reducing the number of three-syllable words and shortening your sentences. While most web content should be simple to digest, certain industries or businesses require a higher reading level. Tip: A good way to find out the appropriate reading level for your business or industry is to check out a competitor that is ranking high in the SERPs. Run the SPA on a competitor’s page and get a breakdown of their text. You can then emulate the same writing style and language accordingly. 3. Improve the keyword density on a page. 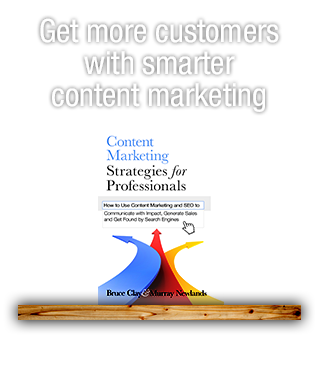 As mentioned above, quality content has many features that set it apart from low-quality content. Does your text feature the keywords and phrases searchers use to find your products or services? Are these important words used in the right places and in the right frequency? The Single Page Analyzer can give you a great snapshot of the most commonly used words on the page and where they’re located. Find out whether you’re using the important words often enough and in the right locations and edit your content accordingly. 4. Locate opportunities. The reports provided by the SPA can help you spot opportunities you otherwise might not have noticed. The Tag Information section, for example, can help you pinpoint keywords that you’re not using in anchor text. 5. Research and learn from your competition. The Single Page Analyzer tool can be used to examine on-page elements of a competitor’s web page. You will want to choose a competitor who is ranking well in the search engines that is similar to your website (Wikipedia and Amazon are probably not the best competitors to examine). Submit a web page into the tool and get a report of everything they’re doing right or wrong. 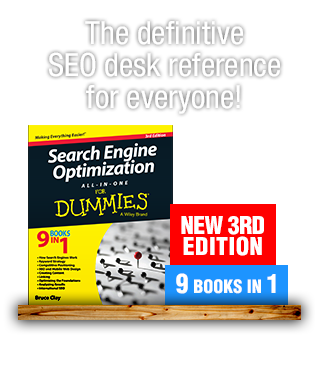 Both sets of information can help you improve your own SEO for a similar page. For example, if you notice that they don’t have any errors in the Tag Information tab, you can get an idea of properly crafted meta tags. On the other hand, if you spot any problems with the page, it could be a great opportunity to beat the competition by making sure your own web page is free of those errors. Without applying wisdom. Just because you see a red error message in the SPA report doesn’t mean you should fix it without thinking it through. For example, certain pages of BruceClay.com come up with red error messages when run through the SPA. However, these same pages may rank high in the search engines, so it’s always important to consider the bigger picture before making any changes to important elements on a web page. Here’s a closer look at the data produced by this free SEO tool and how to read it. This section is where you’ll find a breakdown of your tags and whether you’re crafting them according to SEO best practices. The Tag Information section examines the title, meta description, and keywords tags. For each tag, the report tells you the total word count (Word Count), Stop Words, Used Words (the number of stop words minus the Word Count), and the character length of the tag. The Tag Information section also tells you if there are any issues with those tags. You will see any issues listed in red in the last column of the report (the Tag Contents column). In that same column you will also find suggestions on how to solve those problems to improve the SEO of the page. For example, if the SPA discovers that your meta description is too long, you will see two notes in the Tag Contents column: the first note will inform you that the tag is longer than desired, and the second note will tell you the preferred average length of the meta description according to SEO best practices. In the second section of the SPA report, you will see text-specific metrics that help examine the reading level of your content. Here you’ll find everything from how many sentences you have on each page to the average number of syllables per word in the body of the page. The first column shows the metrics, the second features the value, and the third provides a description of the value so that you can better understand the numbers you’re looking at. The SPA can help you examine the most commonly used words and phrases on the page and let you know whether you’re using them appropriately, in the right places and according to a frequency that’s common and natural for your industry. In the Word Phrase Usage category of the SPA report you will see a list of the most commonly used keywords and phrases on that page, listed in order with the longest phrases first. This list is not necessarily your chosen keywords, but the phrases that are the most prominent on the page. Next to each keyword you will find the number of times the word or phrase is used in various elements on the page, such as in the title, meta description, keywords tag, in the headings, and alt tags. The report also shows you how many times the words are used in the first 200 words of the page, in the body, and in all of the on-page elements combined. So how do you read the errors? Pay attention to colors. Numbers in red mean that the keyword or phrase is not used often enough, while numbers in blue mean you’ve used them too often. Note: A red zero appears when you have no instances of a keyword in an element; however, the red color means that it’s a best practice to include it there. A dash also means there’s no keyword in the element, but you don’t have to add it. This happens often with alt image tags. Free and easy to use, the SPA is an advanced search engine optimization tool that provides a full page analysis of a web page. You can use it to identify broken areas and key places on a page that need improvement. It’s a tool you can use to take small but effective steps to improve the optimization of each page. Finally, it’s a testing tool you can keep going back to reassess the enhancements and additions to the page. Take the free, external SPA for a spin, but remember that this isn’t all that the free SPA has to offer. Within the free SEOToolSet Lite, you get a more robust SPA and many other tools that will help you better optimize your website for both search engines and human beings. The information provided is quite useful. SEO is a vital aspect in the web world and the information provided about the free SEO tools can be actually helpful for many. Thanks a lot for this Melanie! Thanks for the awesome tool, i will try this on my site. It’s great news for us. Hope this tool will improve our SEO techniques and we will get a positive result from the use of this tool. It is necessary for any website. Content is the key to any website and hope this tool will give us a better idea about the content. Thank you. Yes, you can find our 10 free SEO Tools here: http://www.seotoolset.com/tools/free-tools/, and you can sign up for our SEO Newsletter here: https://www.bruceclay.com/newsletter/. That’s great news, Vengat! 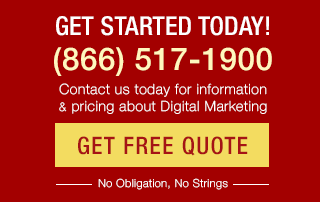 We’re so thrilled that our tools are simplifying and improving your SEO campaigns. You’re very welcome. I would like to leave my feedback on this tool to others: I have used this tool and recommended to all my SEO friends. I never received any single negative feedback about this tool. Because of this tool, we went on right path. 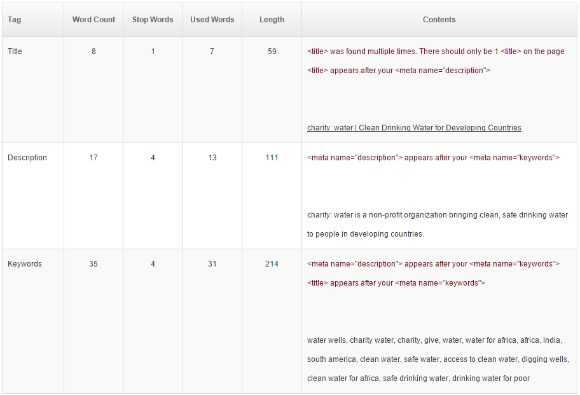 Particularly the “Tag Analyser” “Word Phrase Usage” metrics helping a lot. We have optimized a for single keyword “floor tiles” using this tool and we have seen massive results that our client’s site came one top within few days on top. @BruceClayINC Thanks for such tool. It is a basic requirement of any website. Because nowadays of google demand unique content if you want top ranking. Thanks for sharing valuable stuff. It sounds pretty much. Now a day of Page Content really useful thing for any site, so thanks for sharing your useful stuff with us. David: It’s difficult to give an accurate answer since we don’t know the URL, but the first 200 words category finds the first 200 words of text on the page. This doesn’t include stop words or links. So even though the links might be displayed, it may not be counting the text for those links in the first 200 words count. Wondering why my navigation links are being read as body content according to your “first 200 words” category. These aren’t appearing in the google cache text only version of the page. I like your posts very much. I think now a days of Page Content really matter for any website so thanks for sharing your valuable article with us. I will try this tool for my website and share my experience with you in future. Will have to test this on our site as we use ACF heavily. Thanks Cathy. This tool shows a limited number of keywords for a page (about 30), but you can get a complete keyword list by using the SEOToolSet Lite version of the SPA tool by signing up here: http://www.seotoolset.com/tools/plans-pricing/. It’s also free, but provides a complete list. Sounds great Melanie! But does this tool identifies the best keywords for the page and whether the page is optimized for these keywords? To give you a chance to see in action how the data you get enhances your organic SEO efforts, this miniseries covers each of the 10 free SEO tools. Found its features excellent for analysis and auditing. The new on-page content analyzer tool is going to be very helpful for the SEO guys. I will definitely going to have it for my site. Thanks for sharing this information. Thanks for sharing.i am trying to many tools for on-page Content, but still we are not improve DA. Information about tool and its outputs seem to be good but can be trusted after using it. Thanks for the article! Pagerank (PR) is an exponential scale. Most people do not really focus on PR anymore, its more about creating the right content to engage your audience, and utilize any 1st party data you might have to tell a unique story, that other people can not tell. These toosl for technical SEO are certainly good, but its just a starting point. you can certainly make technically perfect content, but if it is not garnering traffic, engagement and social sharing, its an uphill battle. I strongly recommend searching for one of Rand Fishkins whiteboard fridays, entitled “does-seo-boil-down-to-site-crawlability-and-content-quality” and watching it, because SEO is a different battlefield than it was just a few years ago. Thanks for the info, we are trying many things and would like to implement few of your suggestion too. My question to you is – we have tried many ways to improve our PR but none is yielding the expected results?